We met Annette Locke at the Christian Business Network that meets every Thursday morning at 8:15 at Mac’s Cafe In Butler. 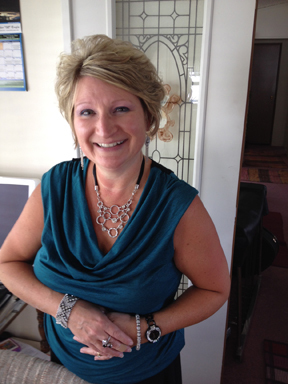 Annette is an expert on Jewelry and is associated with Premier Design Company, a Christian based company. Annette also told us she was impressed with the philosophy of Premier Design Company: We believe God created every person with value. We believe life’s priorities should be God, family and career. We believe in America and the free enterprise system. We believe that people are our most important asset. This entry was posted in Uncategorized and tagged Christian Business Partners, Christian Organization, Jewelry, Premier Design. Bookmark the permalink.